If you need to raise fund for your school, church, non-profit, sports team or a private cause Avon is here to help. As your Avon Independent Fundraising Specialist in Crystal Lake, IL and surrounding communities I can custom make an online or flyer fundraiser tailored to your needs and goals. I will support you throughout the whole process. Avon products are high quality and they are very easy for your participants to sell through family, friends and acquaintances. There is no need for your organization to purchases inventory – your participants take orders and Avon Supplies the product. You will receive your proceeds in as little as 3 weeks. through a customized link. The profits you earn is negotiable and based on your organization’s goals. Online fundraisers last 60 days. Your organization will receive a check for your earnings at the close of the fundraiser. Register your online fundraiser today and we can get it started in as little as 3 business days. With a flyer fundraiser your organization can choose between seven different flyers. You are welcome to pick just one or all seven. Use our delivery tracker to keep track of all the orders. 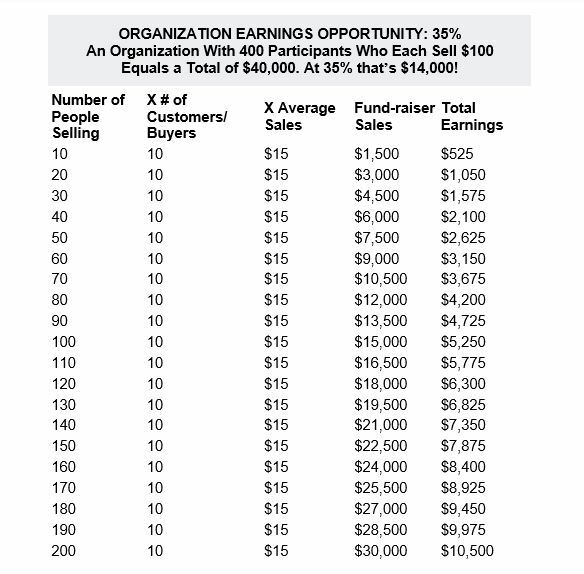 Just like an online fundraiser your earnings are negotiable and based on your organization’s goals. If your organization requires prizes to encourage participants to sell more I can accommodate. Download and fill out the Avon fundraising agreement and email or mail it to me and we can get started on your fundraiser right away. Need more information before you register your fundraiser? No problem. Contact me to schedule an appointment to discuss the details. I look forward to working with you and your organization!